These two characters have roamed Calle Santander for over four years. 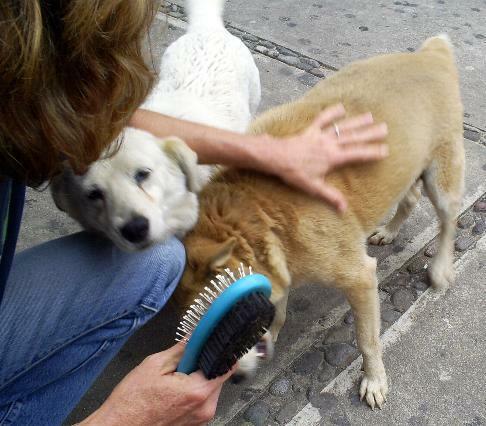 They are among the favorites that frequent local business, especially restaurants in search of a hand-out and some pets. 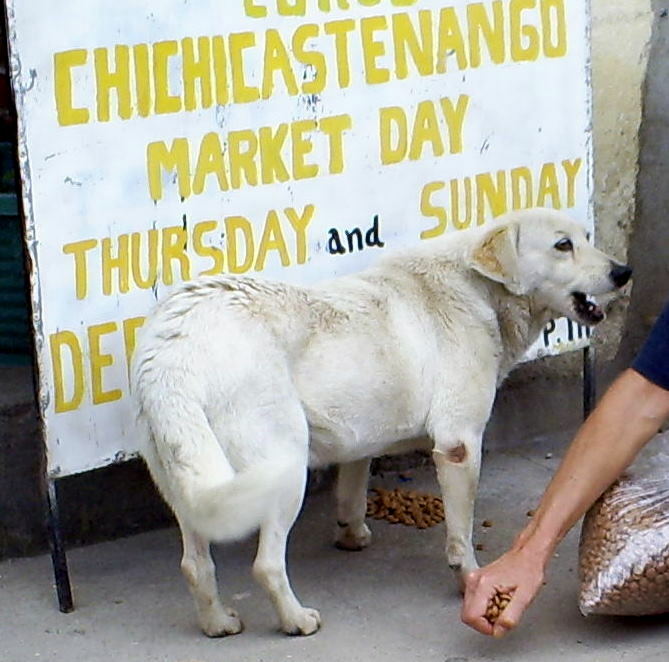 Most mornings, Blanca can be found at El Patio in the company of Jim and friends. If she’s not there, check the top of Santander in the plaza that houses the Bus Stop Bookstore and Solomon’s Porch. After breakfast she usually shows up at the Deli and then makes it by the Palapa Bar next to Pana Super by happy hour. She has many friends all over town! We love our Blanca! Biscuit is a lower Santander kinda guy. He’s usually somewhere between Guijimbo’s and Casa Alegre. Many an afternoon you’ll find him lounging in front of the ice cream shop. He, too has many friends that take pity on him when he flashes his woeful eyes. For that reason, he really has become a “biscuit”! 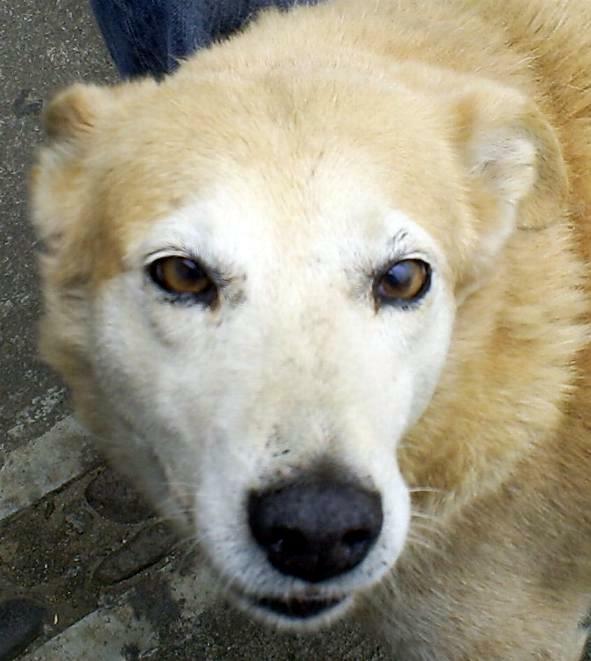 Sterilized years ago, Ayuda keeps them healthy with internal and external parasite treatments, combo vaccines, nutritional supplements, as needed and general care. They are two of the happiest “kids” around. If you come to town, see if you can spot them. They’re always looking for food and affection!